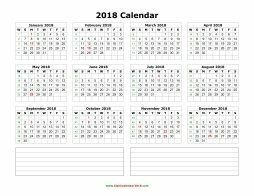 • Blank Calendar 2018. 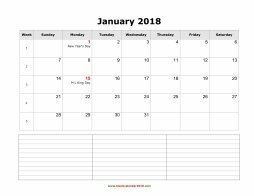 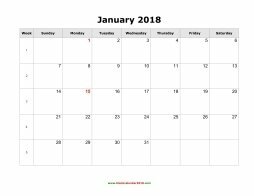 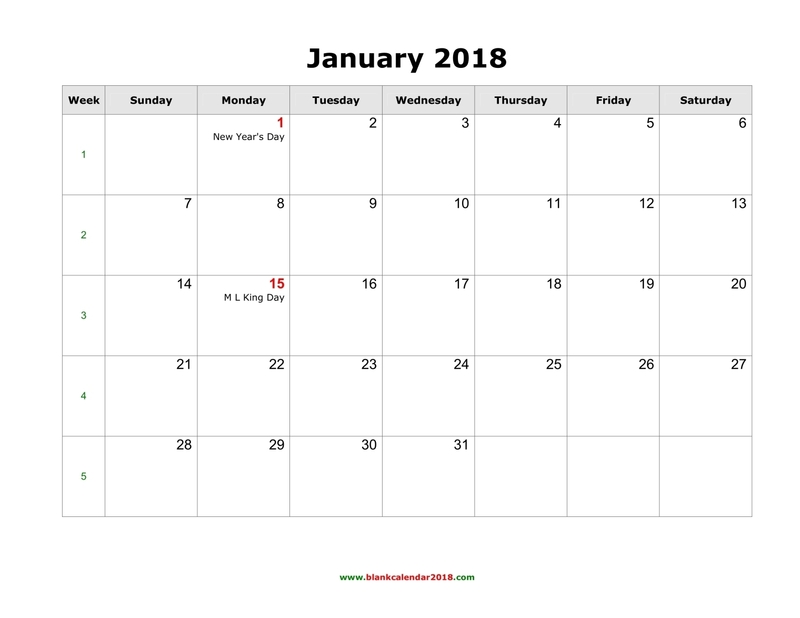 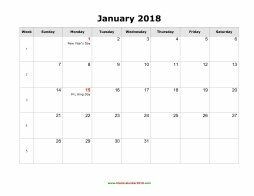 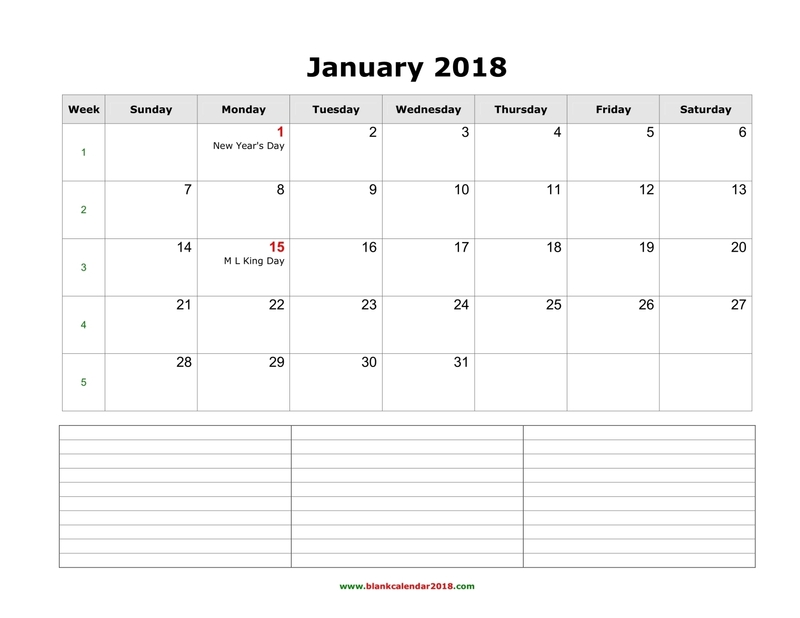 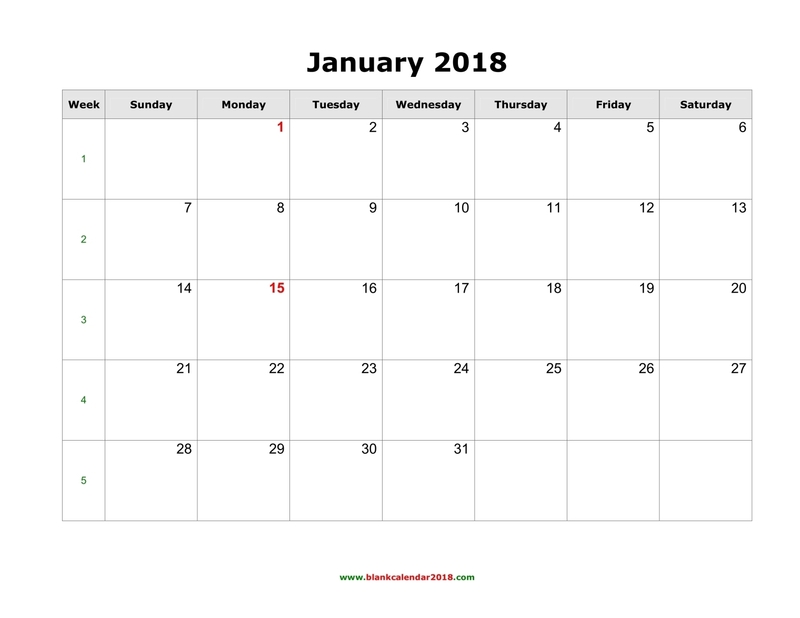 Free download yearly and monthly blank templates for 2018 calendar including week number. 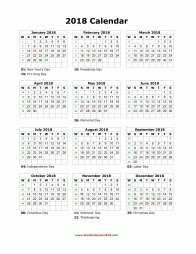 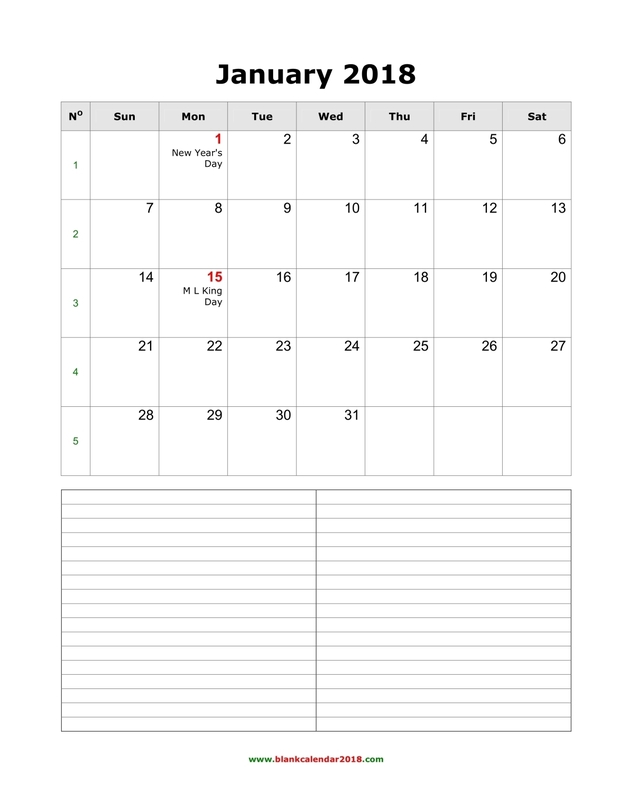 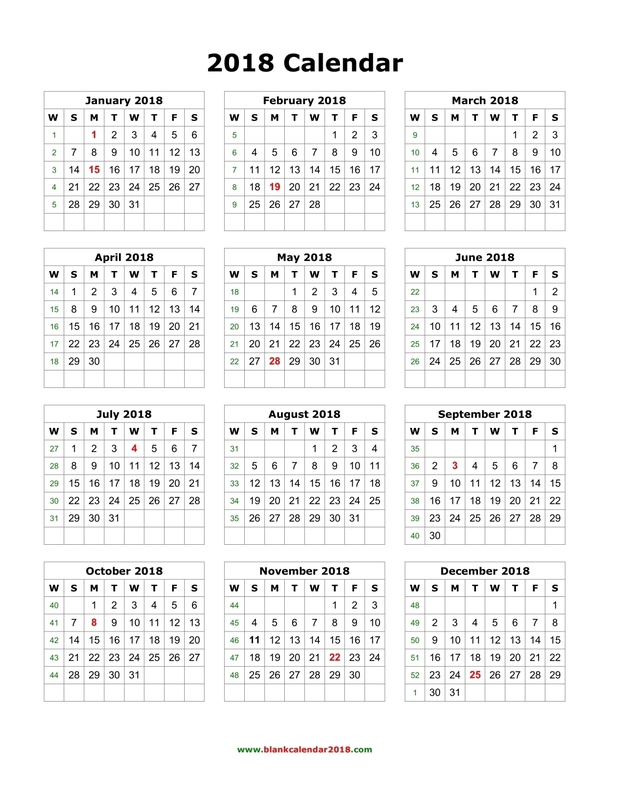 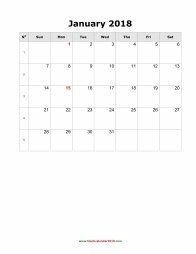 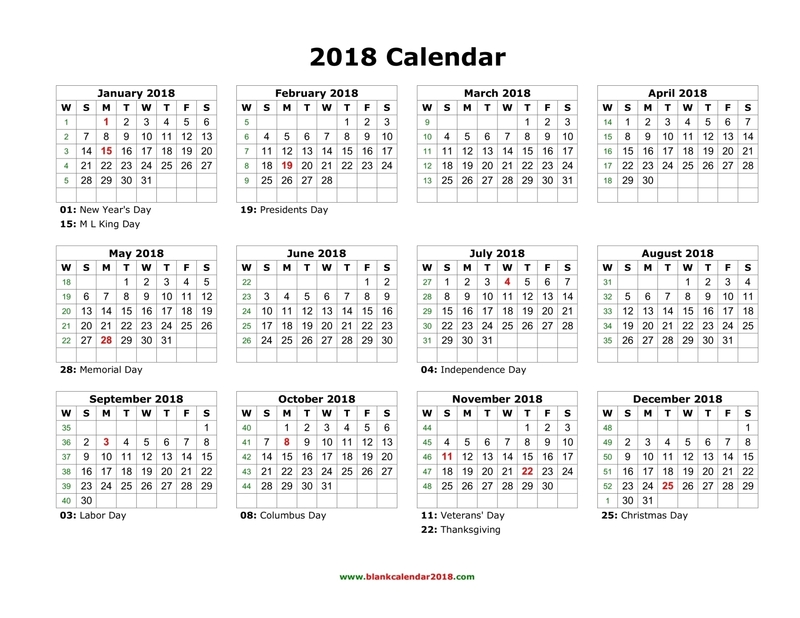 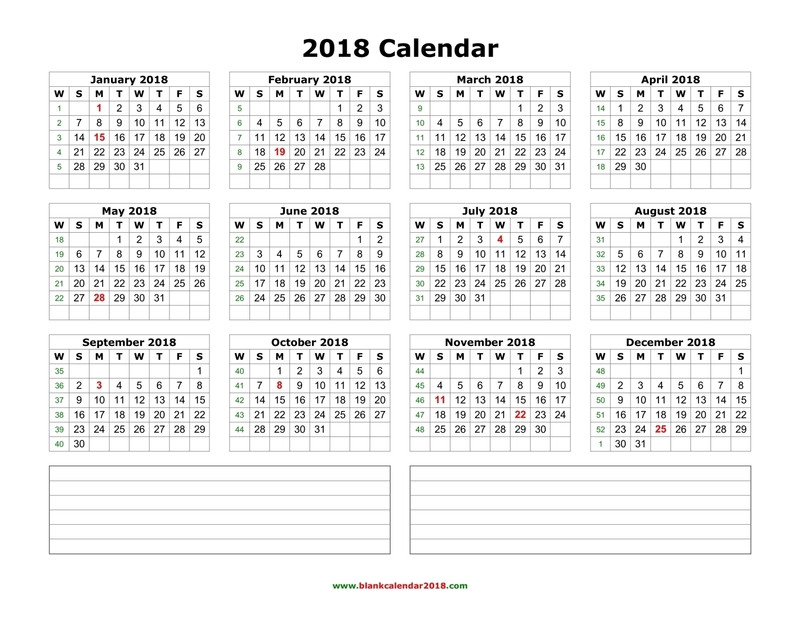 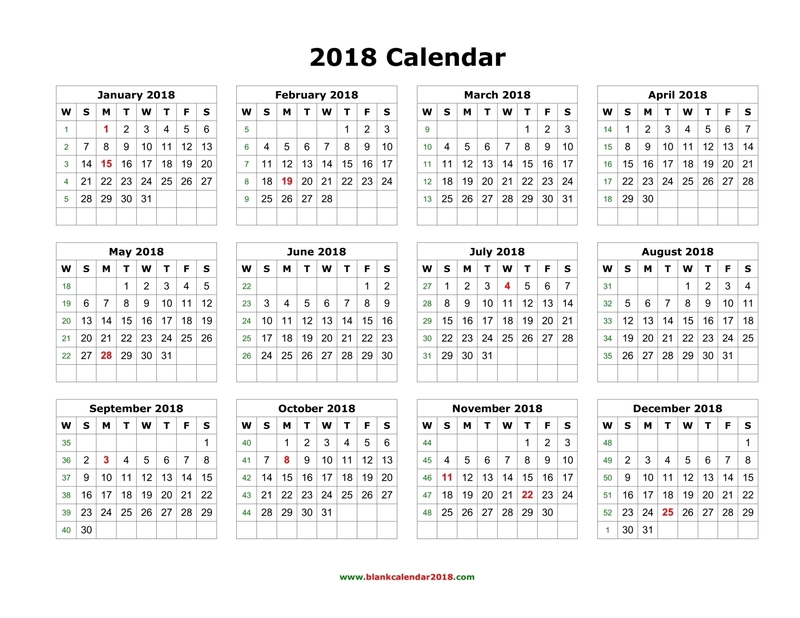 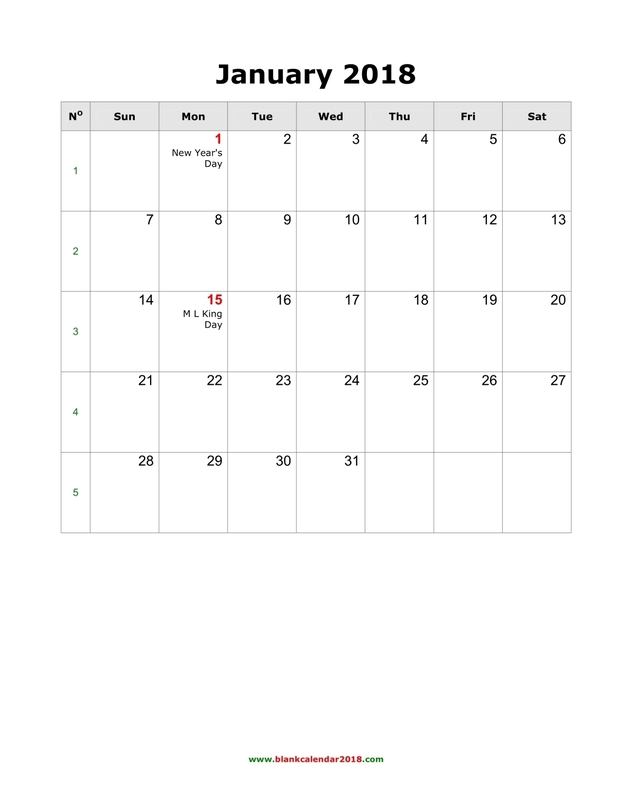 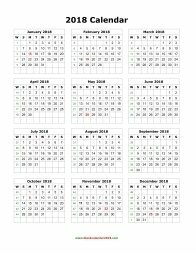 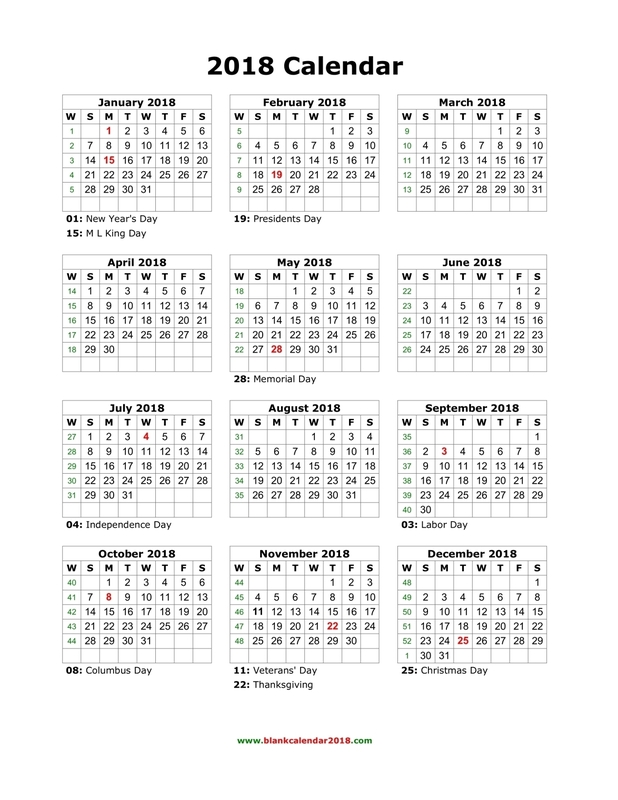 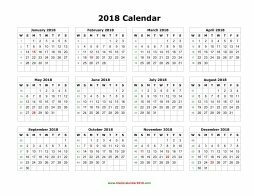 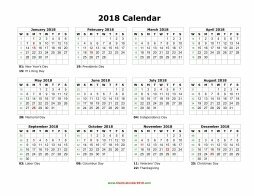 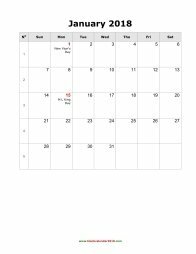 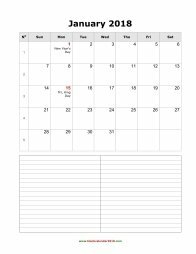 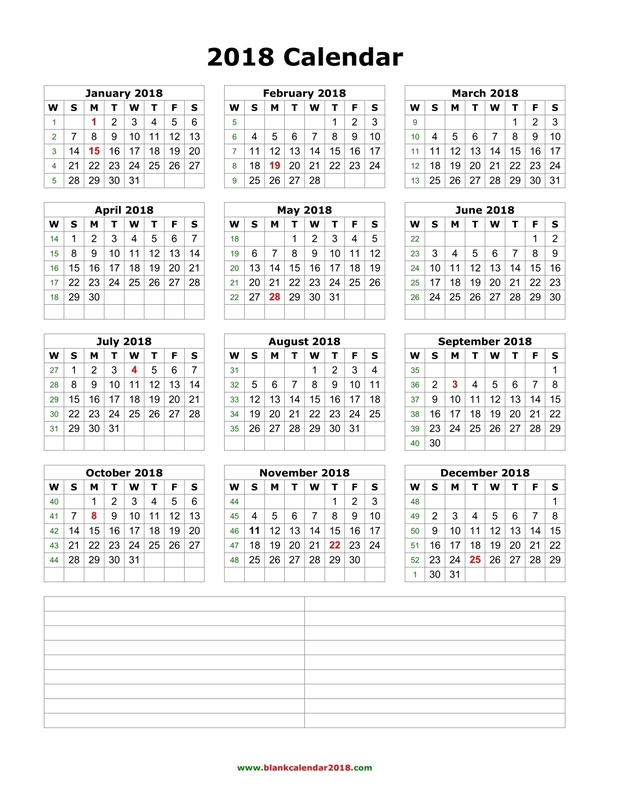 There are 3 templates for yearly and monthly calendar 2018: blank template without holidays, blank template including federal holidays, blank template with space for notes. 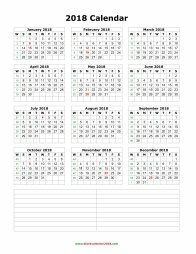 • Download all templates as MS Word (editable, printable, US letter format), PDF, JPG Image (printable).